The year was 1989. New Kids on the Block just hit it big with their single “Hangin’ Tough,” Richard Marx, The Bangles and Tears for Fears were the top groups of the day. Michael Keaton hit the big screen as Batman – and roller skating in Genesee County was going strong at Rollhaven in Grand Blanc. I was at the rink one evening, lacing up my skates to give it a try for the first time. My goal was to not fall immediately as I went out onto the floor. It was packed. Kids, teens and adults were whizzing past me skating forward, backward, sideways, on their heads, etc. Couples held hands while skating to songs by Warrant, Prince and Madonna. I was mesmerized by the guys roller-dancing in the center of the rink. “How are they doing that?” I thought as I crept along the railing, desperately looking for a place to merge into the stream of skaters. I found a gap that looked good for a beginner, and off I went! My friends and I spent the whole night there and had an absolute blast. 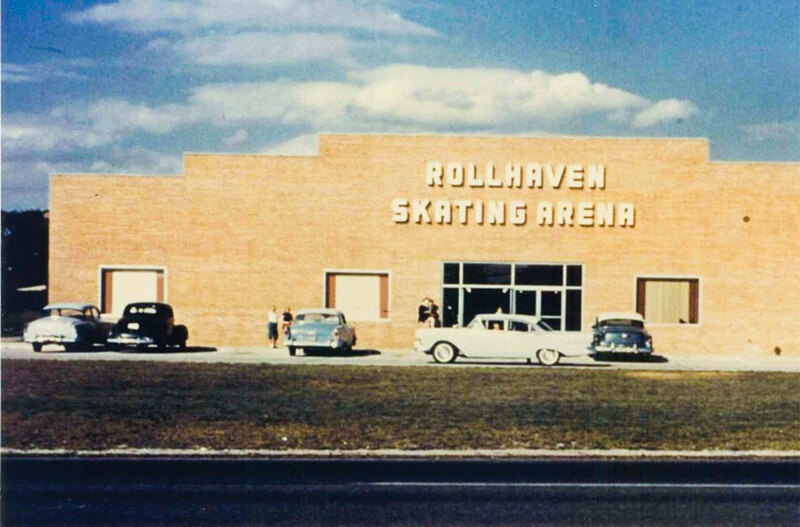 Rollhaven has been a destination for skaters and families since December, 1955. Legend has it that when the facility opened, Saginaw St. had not yet been paved and the road was a quagmire. People had to be carted up to the doors by horse and wagon to see the new rink. That didn’t stop people, however, and Rollhaven became a success – and still is, 64 years later. “We’re still here!” says Co-owner and Vice President, Kim Brown. 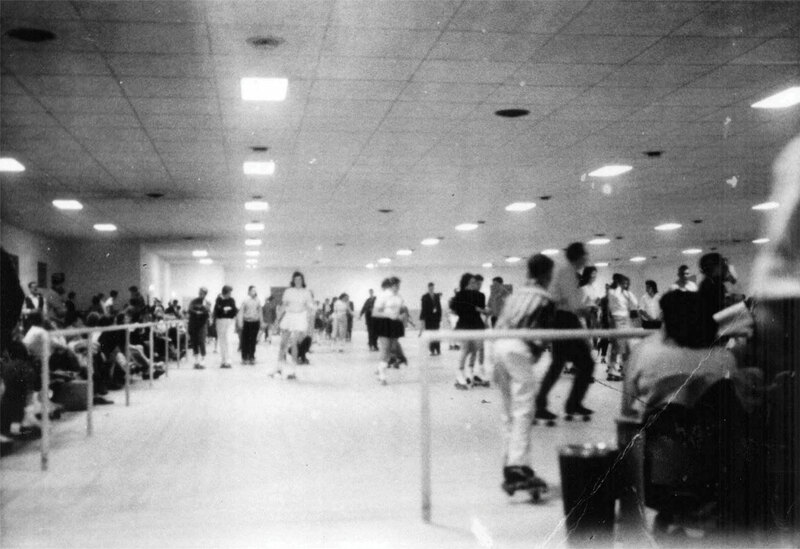 “At one point, Genesee County had five skate rinks. We are one of two remaining.” Rollhaven (and roller skating, in general) has seen its share of ups and downs, with the most recent coming in the recession of 2008. “The recession hit us hard, but we’ve come back strong in the years since. This season has been pretty good thus far,” says Brown with a smile. For those who have never skated and would like to learn, Rollhaven has four-week classes that start at the beginning of every month. They offer both beginner and advanced classes and cater to all ages, as well as speed-skating class taught by a national champion. “We have a great coach right now, but we don’t have a speed-skating team,” says Brown. “We would love to have one to train for competition on a national level. Speed is one of the easiest of the disciplines to get into – all you really need is a helmet and a thrill for speed!” Beginners can take private lessons to learn more advanced skills. Last year, Rollhaven produced national champions in both single and pairs events. They are always looking for talent. Roller skating is a world-recognized sport, with the World Championships taking place in France last year. 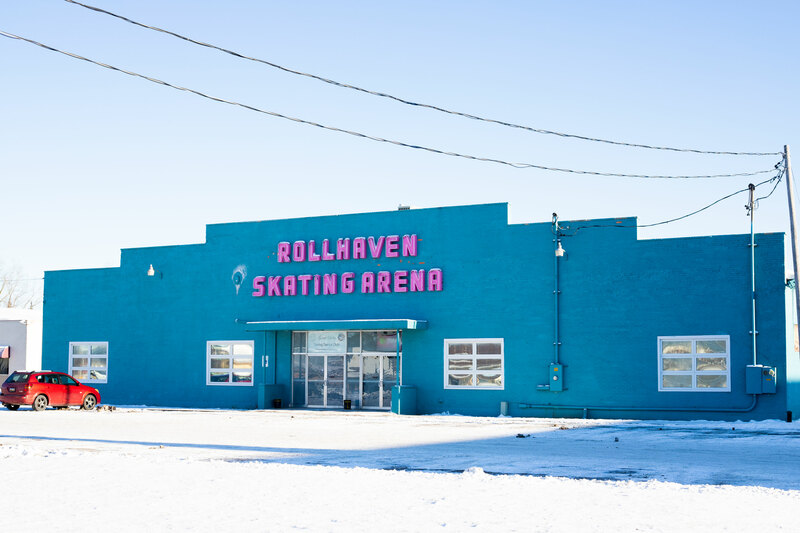 If a leisurely skate is more to your liking, Rollhaven always has a lot going on and is the most economical place in town for family recreation. Standard entry is only $7.50 and skate rental is $4. It’s much less expensive than a movie and lasts much longer, not to mention the health benefits. 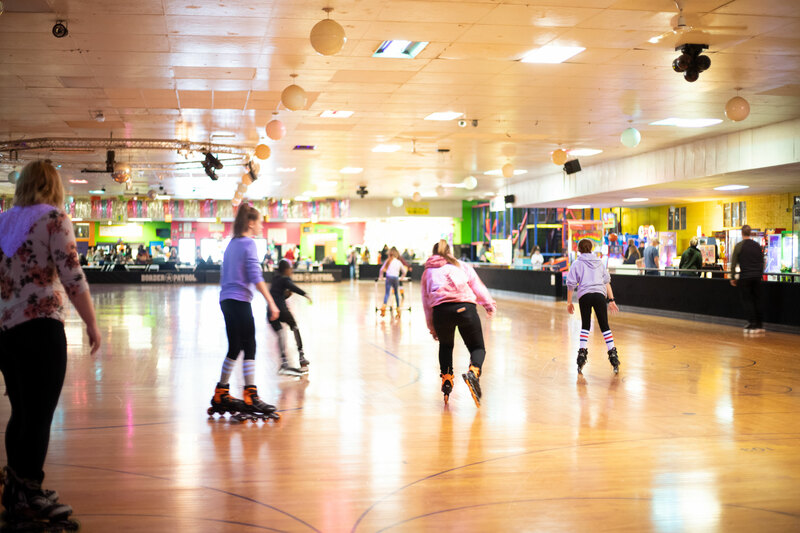 Plus, Rollhaven has special offers such as $2 Tuesdays and kidsskatefree.com, where parents can register their child (12 and under) and for an annual $4 fee, the child receives two skating passes per week. Families all over Genesee County have taken advantage of this amazingly affordable program. which can include laser tag, a bounce house and costumed characters. Rollhaven is open on school snow days and holidays. The facility also hosts special monthly events, including Christian Music Night that takes place on the last Monday of the month from October thru April, and scooter and hoverboard nights in February and March. In April, they host a Girl Scout All-night Skate. Rollhaven offers concessions including some really popular chicken wings and great pizza. The biggest draw for kids, however, is a Rollhaven birthday party. The facility offers packages that include skating and skate rental, laser tag, and a bounce house and/or glow room. They also offer costumed characters, with the current most popular being L.O.L. Surprise! Dolls™ “Queen Bee” and “Diva Glitter.” “We do between 800 to 1,000 parties in a year – the kids love it!” exclaims Brown. “Just bring the kids and a cake and let us provide the rest.” A party typically includes postcards to mail, two-hour table time, a party coach, plates, napkins, cups, balloons, a coupon for a free return skate, ten free arcade game tokens for each child and a trip in the “Money Machine” for the birthday girl/boy. Private birthday parties can also be arranged on Sunday nights. Rollhaven is not just for kids – there are plenty of opportunities for adults to enjoy skating. For anyone wanting to stretch their legs a bit, there is a Coffee Skate on Monday and Thursday mornings. Recently, the facility started offering an adult-only skate and of course, adults are always welcome at any time other than during private parties. 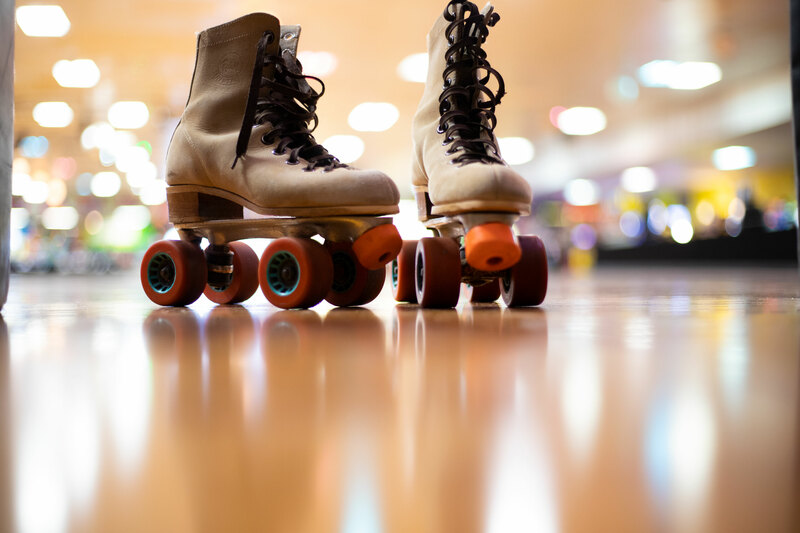 Adults can watch the Flint Roller Derby compete at Rollhaven during their season, and Wednesday nights are for swing dancing with the Great Lakes Swing Dance Club (GLSDC). The GLSDC gives lessons from 6-7pm and has open dance from 7-10pm. “We have 80 to 100 people out their dancing on the floor and it’s always great fun,” says Brown. “They bring their own DJ and just dance!” Rollhaven also offers Zumba® on Mondays from 5:30-6:30pm. Whether you love skating or just want to relive your childhood, Rollhaven is a great place to relax and have fun. “Probably 90 percent of our return adults are former ‘Friday night kids’ and they will notice that we’ve made some changes. It’s still the same feeling, but it looks a little different,” informs Brown. “Back in the day, the décor was 70s orange and brown. 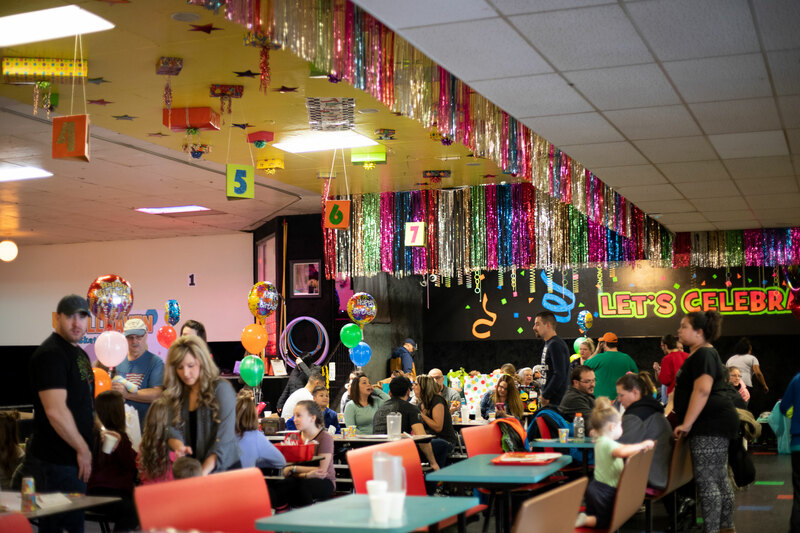 We’ve updated since then, style-wise.” Laser tag was added in 1993 and has been a big hit, as well as a bounce house added in 1995 for the little ones and of course, a great arcade.